Sue Charleton: So did he behave? 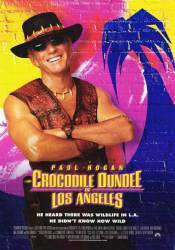 Mick "Crocodile" Dundee: Oh, yeah he was no trouble. Sue Charleton: Not you. I was talking to Mikey. The Wendy's Girl: Welcome to Wendy's. How may I help you? Mick "Crocodile" Dundee: Good evening, Wendy.